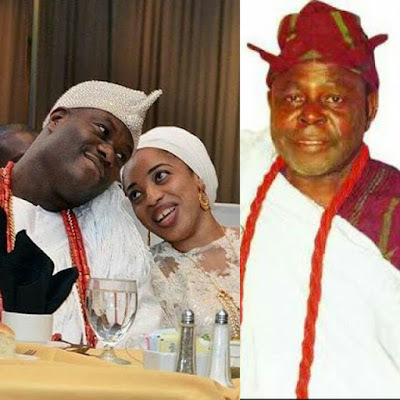 Following the recent crash of Ooni of Ife, Oba Adeyeye Enitan Ogunwusi and his former wife, Olori Wuraola’s 17-month old marriage, popular Ifa Traditionalist, Playwright, Actor and Author, Yemi Elebuibon who spoke to SUN has said ex-Olori Wuraola must necessarily undergo appropriate traditional cleansing process to enable her to regain normal life. Elebuibon stressed that marriage breakup is not very common among Yoruba Obas. He said, ‘the wife of the Oba will be asked to consult Ifa and Ifa will give directions on how she will make the necessary atonement for her cleansing. In Yoruba tradition, a woman who has been married to a king cannot lay with any other man even if the marriage breaks up. But when the right atonements have been made, there won’t be problem’.